In part 1 of this 3 part series, I talked about DMP’s Tezuka publishing Kickstarter which aims to put out 31 books for just over $500,000. In part 2 of 3, we discussed Osamu Tezuka, the god of manga, as a mythical Golden Goose. His manga is desired by English speaking collectors all over the world. But I also expressed concern about the relative lower quality of DMP’s Tezuka’s releases compared to past publishers. In the fable of the Golden Goose, the Goose gives out 1 golden egg per day. The farmer, in a fit of greed, assumes the insides of the goose are made of gold, and kills it to collect his prize… only to discover that the goose was no different from a regular goose, and depriving himself of future wealth. This Kickstarter campaign feels a lot like killing the Golden Goose. Digital Manga Publishing is taking what seems to be a big risk here – a project with a budget and printing schedule an order of magnitude higher than it has ever run before. People seem a little nervous, and for good reason. There hasn’t been a Tezuka Kickstarter that has failed yet – and we have no idea what happens to the licenses when this project does fail. Does DMP say “well, there’s no market for physical copies!” and then just publish in digital? Does Tezuka Productions (the Japanese holding company which manages licenses for Tezuka’s properties) allow repeat, smaller Kickstarters? What is going to happen when this project fails? So how do we right the ship? How can DMP not butcher the Golden Goose? DMP should break up the Kickstarter into many different pieces. 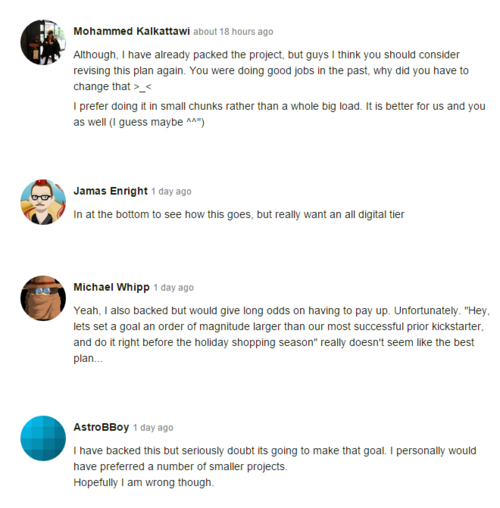 Many backers have already suggested splitting the Kickstarter, which I think is the safest bet. Splitting each series into its own Kickstarter would be a lower risk way to get these books into print. DMP should reexamine its Tezuka assumptions – DMP has never failed with a Tezuka project. 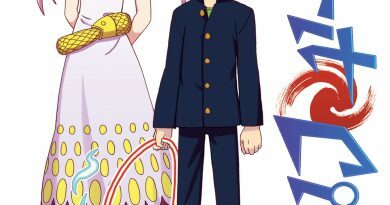 Their success with previous projects may have lead them to believe that any Tezuka project will succeed. But the fact of the matter is, the costs for this campaign are high, getting access to actual physical books is extremely cost prohibitive, and the asking price for 31 books may be more than some people spend on comics in an entire year. DMP is losing many potential customers (including me) because of their price tag. DMP should give Kickstarter backers a reason to work with them– in past campaigns, DMP made preordering their comics worth your while, with content from their back catalog, gift certificates to their digital store, and other great features like behind the scenes info from translation. Tezuka fans need a reason to engage DMP, and the fact that it’s Tezuka manga is not enough. DMP should think about streamlining their campaigns. DMP’s most recent Kickstarter campaign, Captain Ken, was very trinket-focused. Handkerchiefs, stickers, etc. Many Tezuka fans want a collector’s product. DMP could spend that money saved on trinkets and spend it on higher quality paper, hard cover books?? and better book design. As a fan of Tezuka and his work, my desire is to see all of his major and influential works in print in English. This Kickstarter is a negative value, and it’s my belief that this Kickstarter campaign may have a severely negative impact on the ability of Tezuka fans to get Tezuka manga in print in the future. It’s my hope that the folks at DMP take a look at these growing concerns – I really want to buy printed comics, DMP, but unless you address these issues, I’m out.